While some companies rush to stay ahead of the technology curve- trying to be the first to market with cutting edge technologies, Protect America has always adopted a fairly conservative approach. 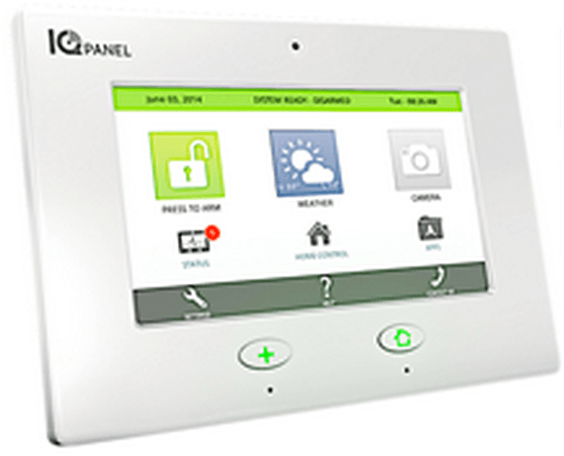 While others have jumped on the touchscreen bandwagon with control panels from Qolsys, 2 Gig and Honeywell…Protect America has only recently introduced the Simon XTi touchscreen panel to it’s product line. While others may have felt that it is better to get the technology out sooner, rather than later (and risk having to make apologies when glitches surface), Protect America has followed a very deliberate and systematic approach to ensure the i’s are dotted and t’s are crossed so that they can deliver a consistently exceptional customer experience. While the venerable Simon XT has long been the mainstay of the Protect America equipment line up, the touchscreen Simon XTi by GE/Interlogix is now available as an upgrade on their Silver and above package offerings. It is available for just $99 and delivers the same quality and proven track record for reliable performance…in a more aesthetically pleasing package with a more modern touchscreen user interface. 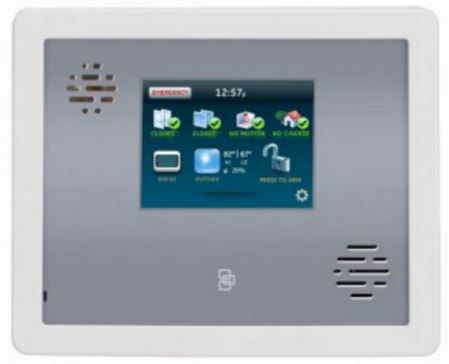 This all-in-one control panel dispenses with pushbuttons completely and all interaction takes place on the 3.5” full color touchscreen display. 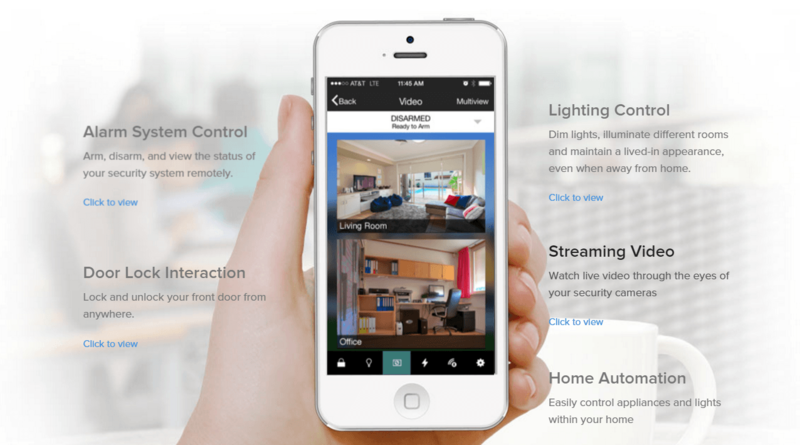 The main screen contains actionable status icons which indicate the status of the home and components at a glance. 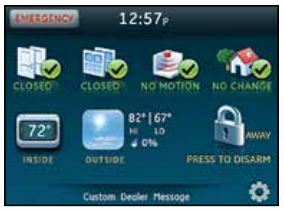 The modern , menu-based graphical user interface (GUI) is intuitive and user friendly….making the XTi even easier to operate than its predecessor. 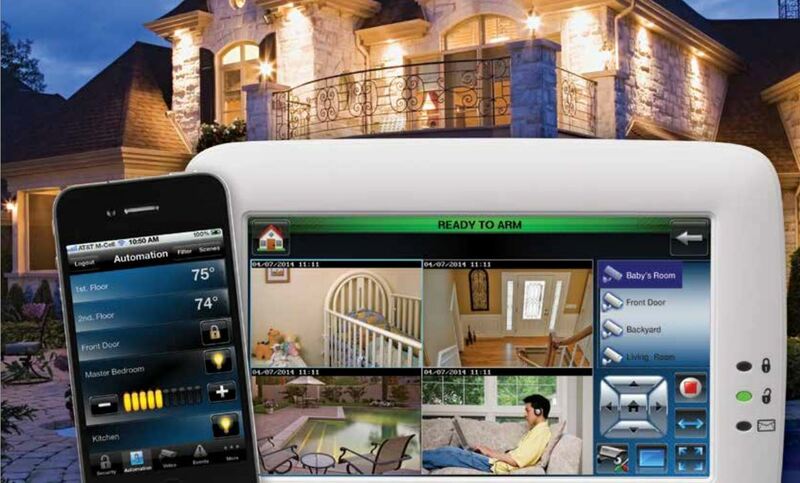 Protect America and many of the best home security companies have chosen the GE/Interlogix Simon XTi as their premium control panel because it combines the proven technology and performance of the Simon XT with a more modern, easy to use yet aesthetically pleasing look of a full color touchscreen interface. They even offer face plates to customize the look of the panel to individual tastes and décor. But, the XTi is not just another pretty face…it is a reliable and powerful security and home management control panel that is fully expandable to meet the demands and expectations of the most discerning consumers. Thank you for visiting. Feel free to leave comments on this Simon XTi Review or add your own Simon XTi Reviews below.